Sierra Watch attorney Isaac Silverman speaks to the Placer County Planning Commission in August about the Squaw Valley project. April 7: The final environmental impact report for the Village at Squaw Valley Specific Plan is released for public review. May 14: The Squaw Valley Municipal Advisory Council votes 3-1 to recommend denial of the plan. Aug. 9: The California Attorney General’s Office issues a 15-page letter to Placer County outlining concerns over the plan. 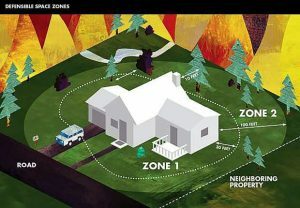 Aug. 11: In a 4-2 vote, the planning commission recommends approval of the plan. Oct. 25: Squaw Valley Ski Holdings tells the Sun that after repeated attempts to meet with the Attorney General’s Office regarding concerns, the resort still had not been able to arrange a meeting. Nov. 9: Squaw Valley Ski Holdings meets with Attorney General’s office to address concerns, according to Placer County. Nov. 15: In a 4-1 vote, the board of supervisors approves the plan. Dec. 5: Sierra Watch files Notice to Cure or Correct against the county. They request that documents from the Nov. 9 meeting be made public, and for an additional hearing to be scheduled. OLYMPIC VALLEY, Calif. — When Squaw Valley Ski Holdings’ attorney Whit Manley announced during the Nov. 15 Placer County Board of Supervisors hearing that his client had reached an agreement with the California Attorney General’s office, the room stopped. The 5-year attempt to redevelop the ski resort gained statewide attention in August when the attorney general’s office issued a letter critiquing the adequacy of the plan’s environmental impact report. The letter centered on concerns the plan would negatively impact the nearby Lake Tahoe Basin because it is expected to increase traffic by 1,353 average daily trips on peak visitation days. The result was an agreement among Placer County, the Attorney General’s office and Squaw Valley Ski Holdings — in which Squaw Valley would voluntarily pay a $440,862 air quality fee to the Tahoe Regional Planning Agency. The money will go to projects that help protect Lake Tahoe, according to a 107-page memorandum from Placer County Deputy Counsel Karin Schwab to the board of supervisors. TRPA spokesman Tom Lotshaw told the Sun in an email Dec. 13 that it is currently unknown whether the payment will be made all at once or gradually over the course of the project’s 30-year construction. He also said the fee would most likely be allocated back to Placer County for some kind of air quality improvement project. In the past, the fund has gone toward projects like transit center, bike and road improvements. The 107-page memorandum, which is dated one day before the Nov. 15 hearing, also details a Nov. 9 meeting that occurred among legal representatives with Squaw Valley Ski Holdings, Danae Aitchison and Nicole Rinke of the AG’s office, and Schwab, in which the $440,862 air quality fee payment was agreed to. Neither Aitchison or Rinke returned the Sun’s request for comment on this story. Some of the project’s opponents say the fact the document was not made available for public review ahead of the Nov. 15 hearing is a violation of the California Brown Act. 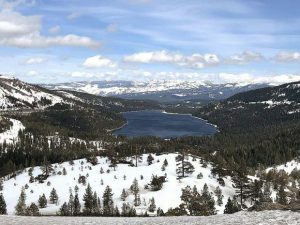 “We’re asking that they call a new hearing that’s properly announced with all the documents so that the public can weigh in,” Isaac Silverman, attorney for the conservation group Sierra Watch, told the Sierra Sun this week. Sierra Watch, the environmental advocacy group that first presented the Attorney General’s letter in August, announced in a press release on Dec. 9 that it had filed a “Notice to Cure or Correct” letter on Dec. 5. “It’s basically a request to Placer County to go back and do the process correctly, in a way that allows the public to participate,” Silverman said. He added that the county has 30 days to respond. A spokesperson for the county confirmed on Dec. 12 the county had received the letter, but was unable to comment further until legal counsel had time to review and file a response.